Just some before & afters so far. A few more things to do yet. But here is what I did this winter. Nice. I just did my own g16 lift and tires/wheels project. 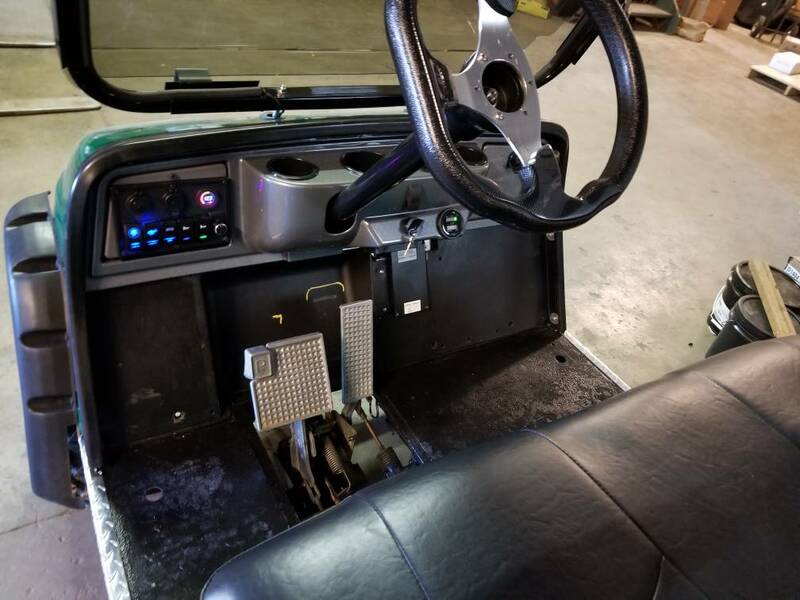 What are the yellow markings for behind the gas and brakes pedals? Well when I was pulling the dash/firewall apart. In planning for place to mount a fuse box, converter (48v to 12v), etc. I marked where everything was so I could decide the best placement. My plan is to line the firewall and floor with alum diamond plate so those will get covered. As you can see I put the converter the the rear of the batteries.